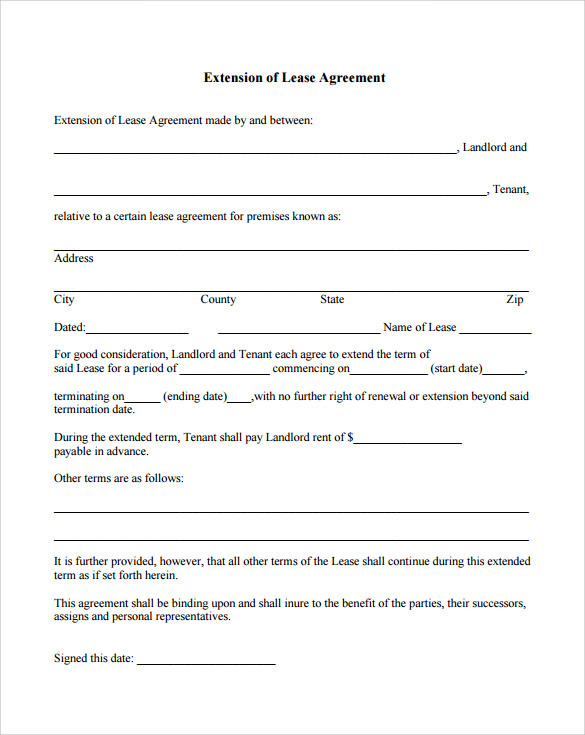 Lease agreement is a contract between the occupant and the property-owner that contains all the details of the contract that is signed between the two parties. Often it has been seen that when the tenant and the landlord are very comfortable with each other they look forward to extend their years of contract. This is known as lease extension agreement. 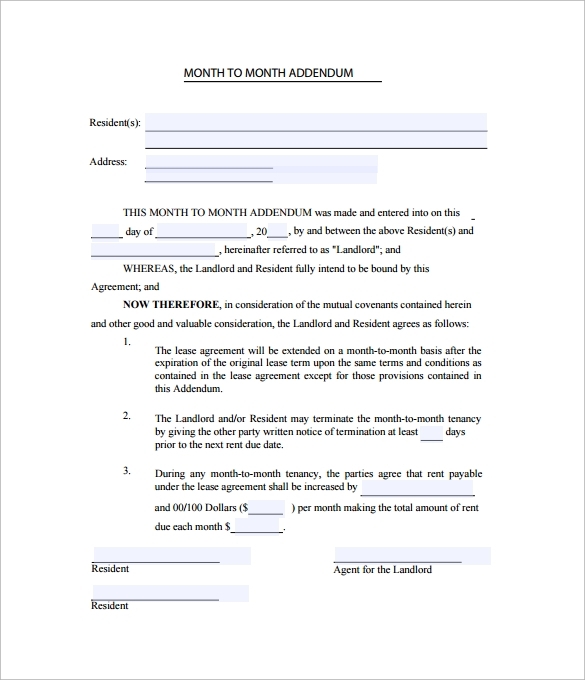 These kinds of Lease Agreement Templates can be relied upon to help you fabricate just the correct format of the said document. 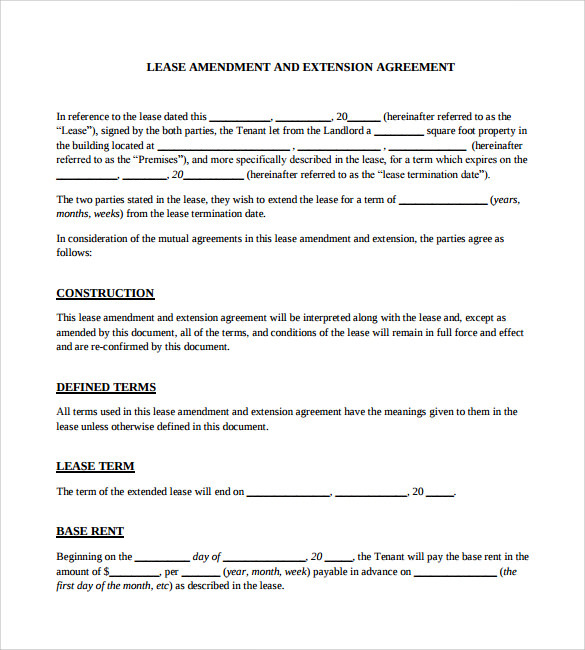 This is a lease extension agreement template that is available over the internet and can be downloaded with ease. 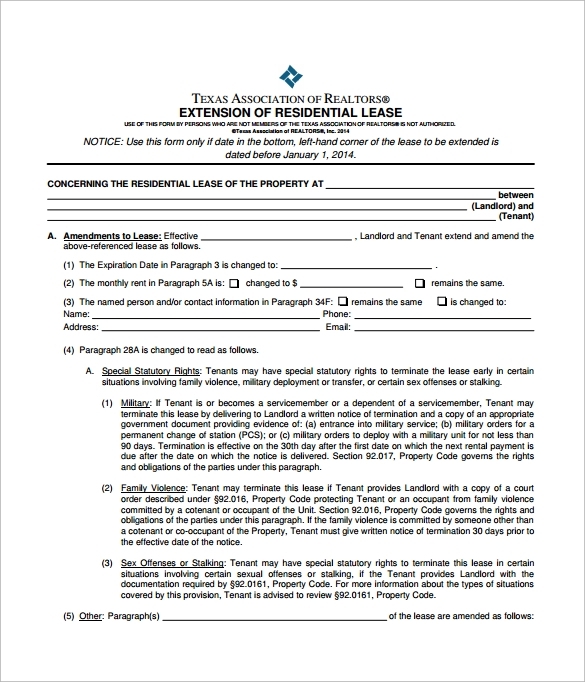 This is a template format that supports the information of the nature and the address of the property that is being leased, the names of the tenant and the landlord, the earlier date when this agreement was formed and signed and also the years of extension that is to take place. The template format can also support the information of the amount of money that is to be paid as the rent amount. This is a template format that has a simple and elegant design. Though minimalistic this is a design that can contain all the important and relevant information. The template is very easy to follow and hence can help to create a very effective piece of document. The template is super responsive and the user can move about the template easily. The template is fully editable hence the user can make changes and edit the template as per requirement. The user can feed in information, change the existing information and can also bring changes in the background teem of the template design. 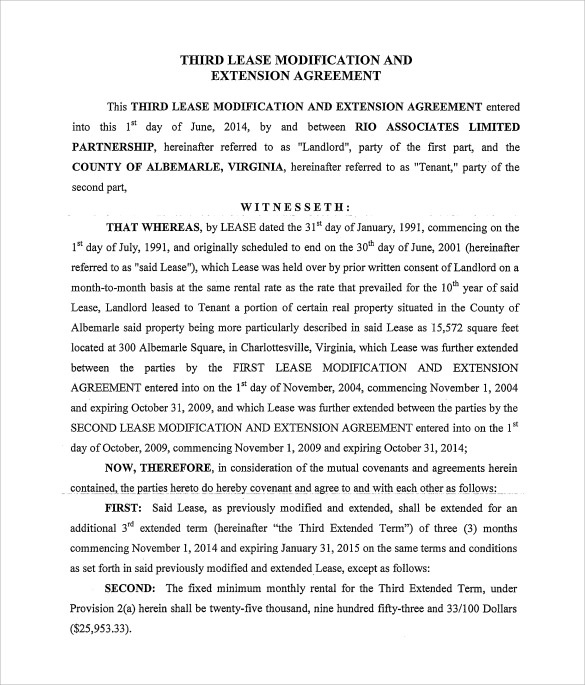 The lease extension agreement can happen for various time frames. Just as the lease can be increased for a few months it can be done for a few years or even week. 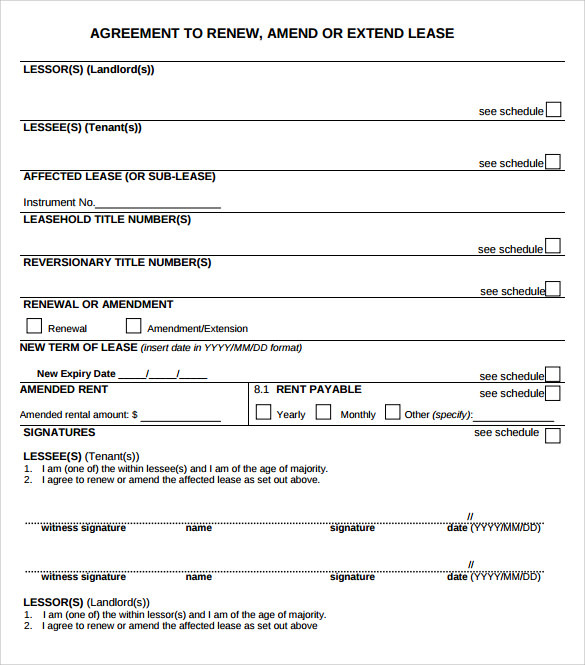 This is a template format that can prove to be very useful for the purpose of making monthly lease extension agreement. The background theme of this template is a professional one. The user can change the template and feed in information as per requirement. 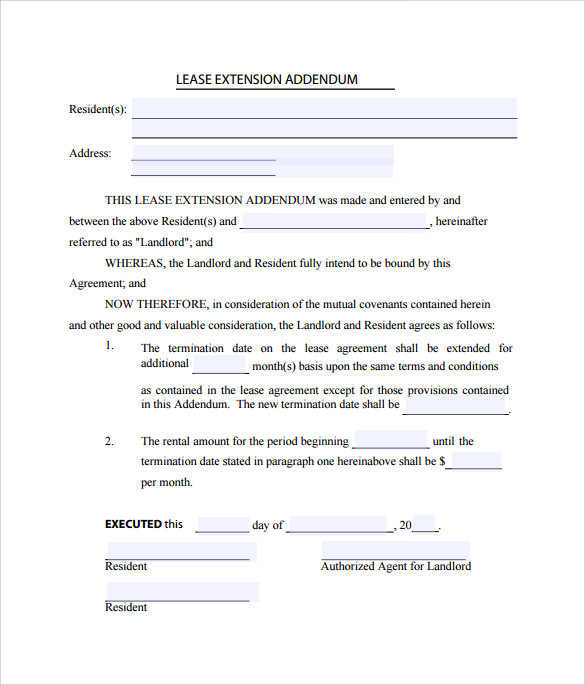 What is a Lease Extension Agreement? This is a professionally designed format that can be used for the purpose of increasing the lease tenure between a landlord and a tenant. 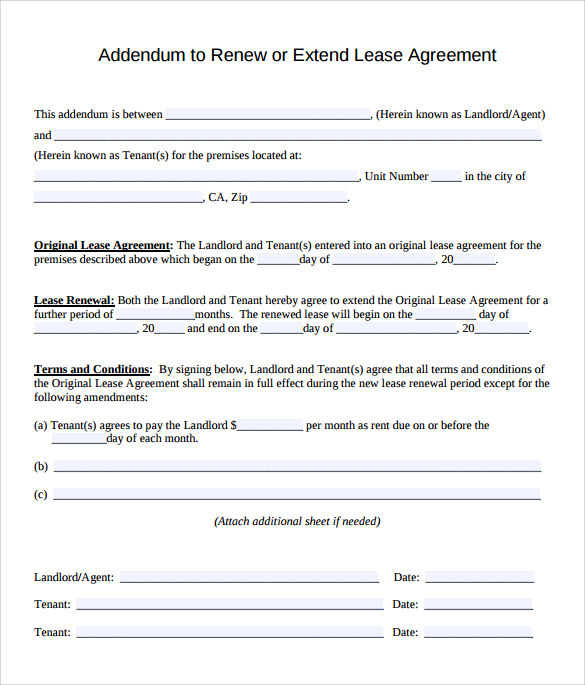 Here the template can be used to mention all the details that are pertinent in the lease agreement. They are print ready and are ready to be used. The user can save a lot of precious time and energy through the use of this template layout. 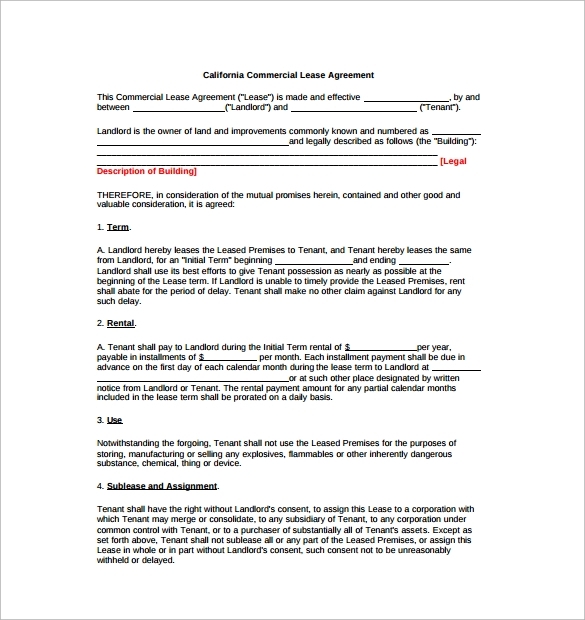 You may like Commercial Lease Agreement Templates. 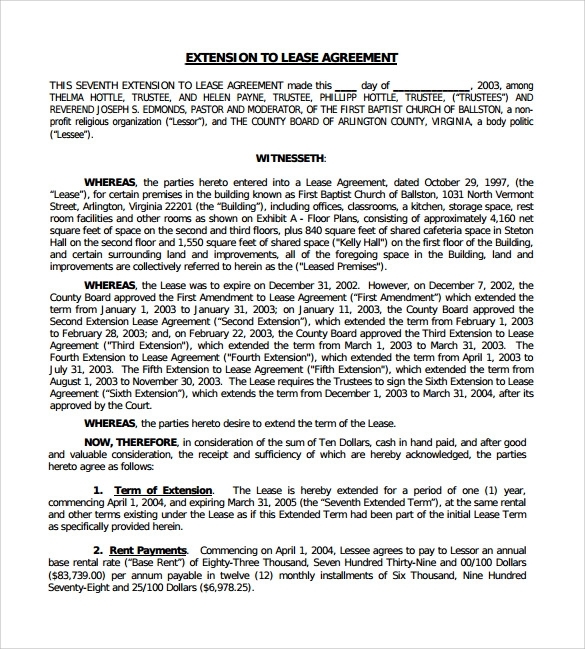 Who Can Use Lease Extension Agreement? The general people are the target audiences of these templates. The design and the format of these templates are easy and smoker enough to be used by homemakers. This is a template that will be used by a host of common people. The biggest benefit of these templates is that they provide the user with a formal format and also saves a good enough time of the user. The lease extension agreement templates are available in the formats of word documents, PDF and PSD. These templates can really help the modern teat and the landlord in cementing their relationship over a long duration.